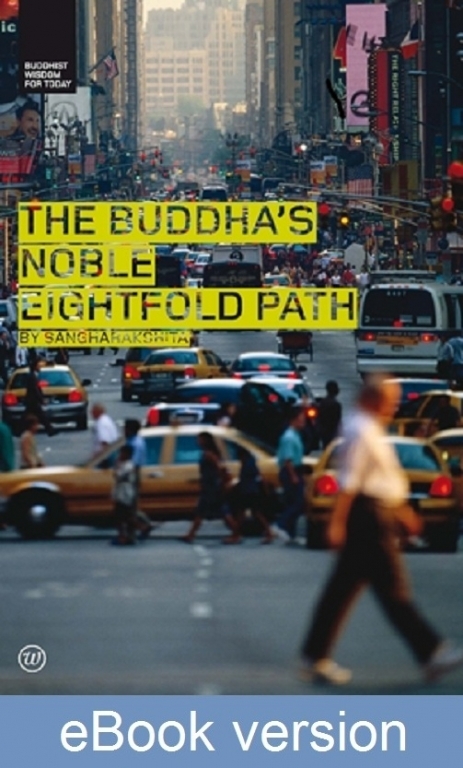 In The Buddha’s Noble Eightfold Path Sangharakshita translates the most widely known of the Buddha’s teachings and makes them practical, accessible and relevant to the way we live our lives today. The most recent edition of this book is found in Volume 1 of The Complete Works of Sangharakshita, and is available in hardback, paperback and eBook format. The Noble Eightfold Path is the most widely known of the Buddha’s teachings. It is ancient, extending back to the Buddha’s first discourse and is highly valued as a unique treasury of wisdom and practical guidance on how to live our lives. This introduction takes the reader deeper while always remaining practical, inspiring and accessible. Sangharakshita translates ancient teachings and makes them relevant to the way we live our lives today.